​The original car was a 1965 Monza power glide 110 HP coupe. The car had very nice sheet metal and interior before the conversion which was retained as much as possible. The conversion was begun in the winter of 2010 and is mostly complete as of spring 2016. 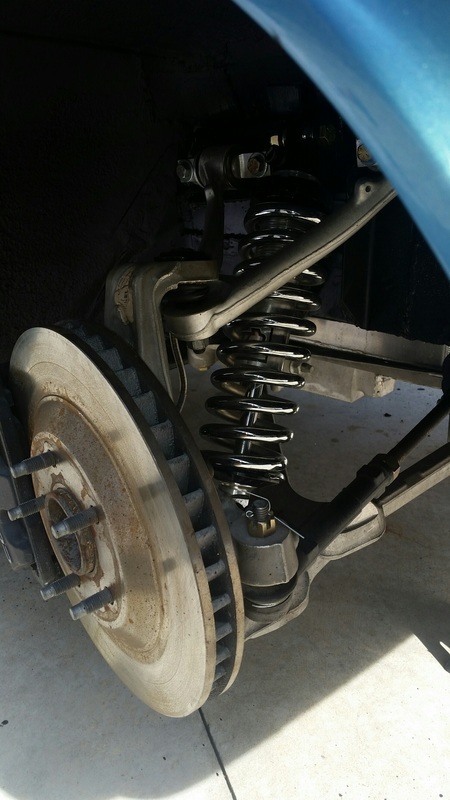 The actual chassis work involved two winters, the car became driveable in 2013. A fair amount of troubleshooting and testing happened in 2014. The new Dupont Chroma base/clear 1967 Marina Blue paint with silver “Yenko style” racing stripe and complete body strip and build up was completed in 2015. The wheel wells are stock with some of the upper fender lips removed for tire clearance. There is room for the stock 2004 Corvette Z06 wheels (17 in. diameter by 9.5 in. wide wheels in front and 18 in by 10.5 in the rear).-The stock Corvair shock mounts in the rear for clearance. I used QA1 coilovers single adjustable with 8 or 10 inch 2.5 inch Id coils. 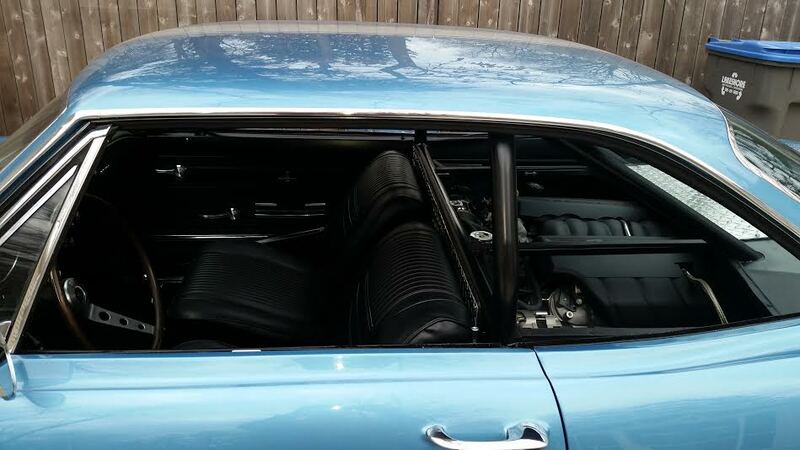 The V8 conversion preparation work was very similar to a Crown conversion- cut out the rear seat floorboard and install a sub frame for the engine and transmission. I welded in a separate sub frame for the engine, rear A arms and transaxle mounts constructed of 2 inch by 3 inch .080 inch wall steel tube. 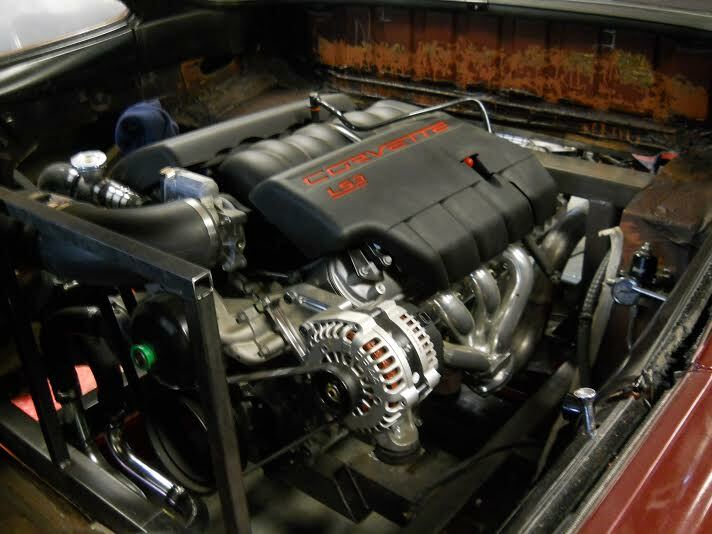 The engine is a 2010 6.2 liter all aluminum LS3 with a GM LS9 cam I installed. This is basically the same engine as installed in the 2010+ SS Camaro and 2009-2013 Corvette with a little more top end power with the cam change. I assembled this motor from a new GM replacement long block and a 2011 Camaro SS intake manifold with injectors a friend had taken off his Camaro. I also used a 2009 Corvette oil pan/pickup and a LS2-style three bolt cam gear, chain and front engine cover. With the cam I installed, similar engines are dyno’d at 460 horsepower, or about 30 more than a stock 430HP LS3 used in the Corvette or Camaro. I used the GM Performance Parts LS3 crate motor ECM/wire harness which means it was plug and play. This setup has an electronic throttle pedal which I mounted on the floorboard and had enough lead length in the harness to mount the pedal without cutting the harness. The LS9 cam is more tuning friendly than the LS HOT Cam I had installed originally but still has a nice lope to the idle. With the HOT Cam the engine had a tendency to die when coming back down to idle- I did not have the patience to try to tune this issue out since I am not a great tuner, so I just replaced the cam- the problem was solved. The increased lobe separation angle (LSA) of the LS9 cam makes it more computer friendly. Fuel is supplied by an Aeromotive Stealth 340 fuel pump mounted in a custom aluminum tank near the stock tank location. The system has an adjustable fuel pressure regulator near the engine and 3/8 inch stainless fuel lines all the way from the tank to the engine and returning to the tank. This engine takes more fuel than the stock LS1 system can reliably handle so I did not use the stock Corvette regulator (lesson learned from other LS conversions I have done). The regulator is set at 58 psi which is the stock calibration pressure at the engine rail. The radiator is a custom 1969 Camaro aluminum unit with two high flow Spal fans-it cools well with 1.5 inch cooling (water) tubes to the motor. These are silicone hoses from Speedway Motors for bends/hookup with 1.5 inch aluminized steel exhaust tubing for the long runs under the floorboards. There is a Canton pressure tank at the high point of the system to allow air to purge. The hot air from the radiator is exhausted through the louvers on the hood. You may notice the front end lower valance is not cut out at this point-cool air enters from under the front like a newer Corvette- There is an air dam under the car to direct air to the radiator. I don't have plans to cut vents in the front valance unless cooling becomes an issue. The overall cooling design in front is very similar to a C5 corvette. 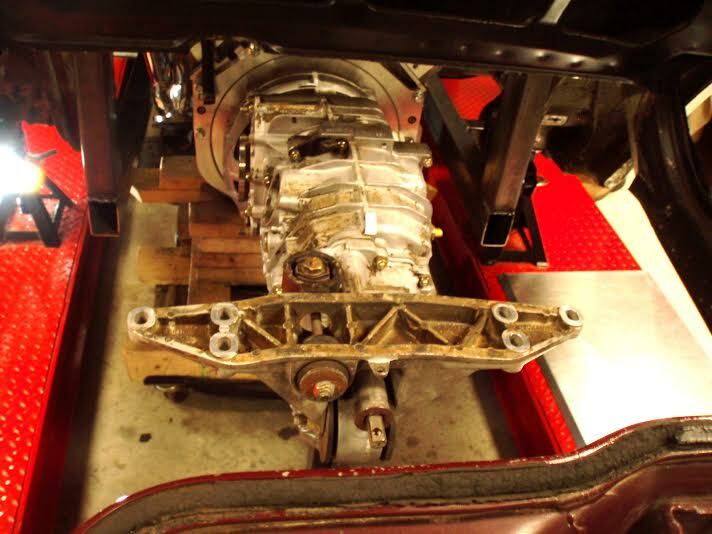 The transaxle is a stock 1992 Porsche 911 G50 5 speed (G50-03 variant) running inverted with a Kennedy Engineered Products adapter. It uses an adapter flywheel and the Porsche 911 starter. The starter has plenty of power for an LS motor with 10.5:1 compression. The setup I used is identical to what is used in a Factory Five GTM mid-engine kit car. The adapter flywheel came from a GTM kit person who was upgrading. It bolts to the LS motor but uses a Porsche-style clutch. The tightest fit for clearance was the rear C5 cross member to the Porsche starter- I had to rotate the starter 20 degrees to get the solenoid to clear the cross member-requiring a couple of "spacers" to mount the starter on the transaxle. The nice thing about this transaxle setup besides the increased power handling over the stock Corvair is the engine is set back in the car about 5 inches more than the Crown conversion. 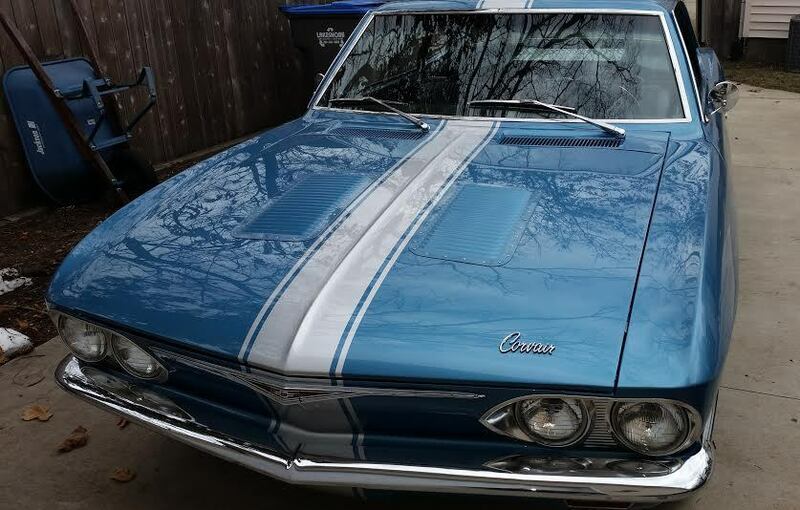 This shift gives you more room for your legs and the stock front seats in the Corvair. It has been over 5 years to get to this point-the car is driving well (not slow)- the trans is up to the task and seems bulletproof. The Porsche clutch is the weak point . I just purchased a high torque SPEC clutch which will be installed soon. I installed a cable shifter for a mid-engine G50 application that was sourced from a Porsche motorsports supplier-they are made to any length needed. The cable shifter works well with positive shifts and easily goes into reverse. The rear axles are custom CV joints on both ends with Porsche inners and Corvette outer CVs. A off-road axle shop in Rockford, Illinois did them for me and they are the only real custom part that is not "off the shelf" for this entire conversion (at least the hardest one to make). ​The rear suspension is all 2004 Corvette C5 with aluminum Corvette cross members, a-arms, spindles and brakes. The brake rotors are stock C5 Corvette-13 inch diameter in front and 12 inch in rear. The master cylinder is a 1970 C3 Corvette manual disc brake cylinder (1 inch bore) which bolts directly on the Corvair pedal assembly. 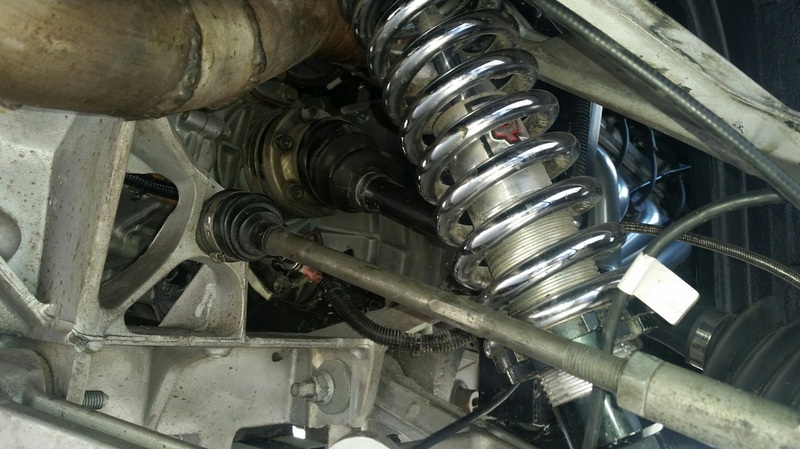 The rear suspension is "stock" C5 Corvette with QA 1 adjustable coil overs (narrowed by sectioning 6 inches out of the cross member). Ride heights are totally adjustable front and rear with a spanner wrench. 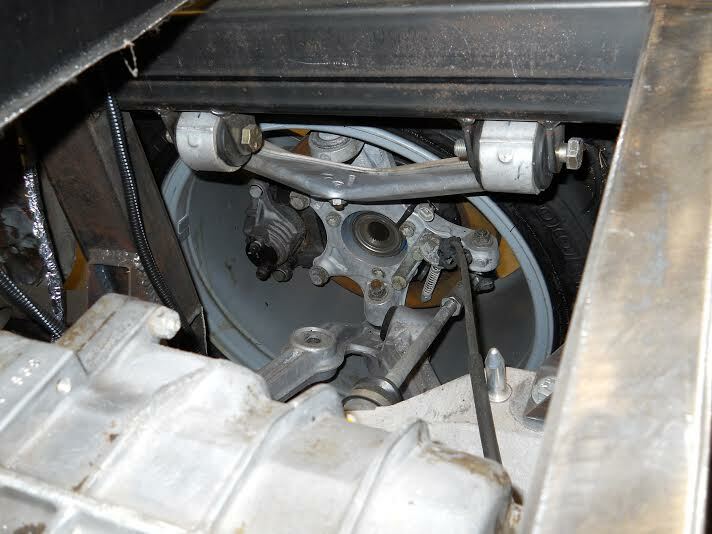 Adjustment for front and rear camber/caster is with the stock Corvette cam bolts on the lower A arms as stock Corvette. 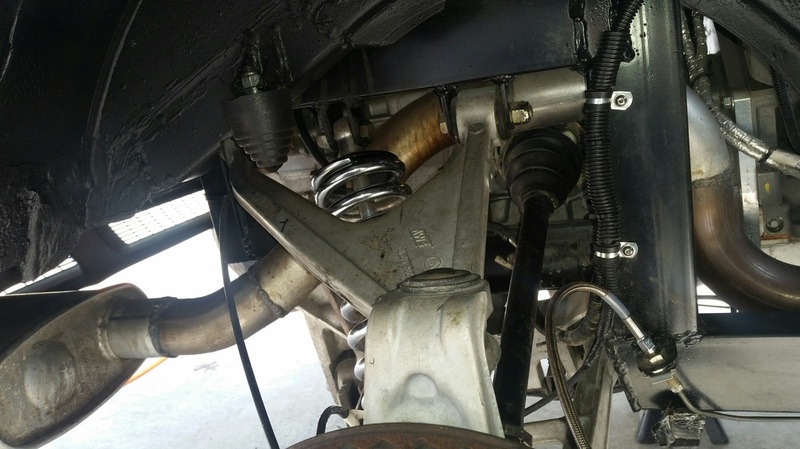 ​Front suspension is C5 Corvette with a Mustang II steering rack -the steering rack is stock length with Corvette tie rods adapted to Mustang rack. 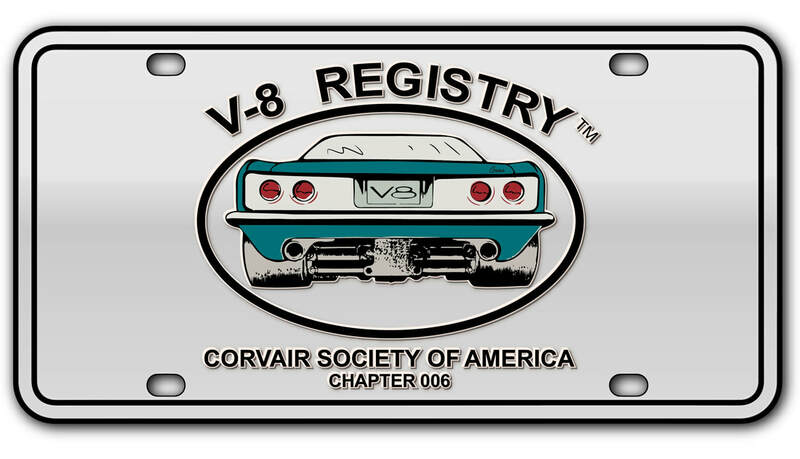 The front Corvette suspension cross member is modified and narrowed about 5 inches to account for the narrower Corvair track width versus Corvette. 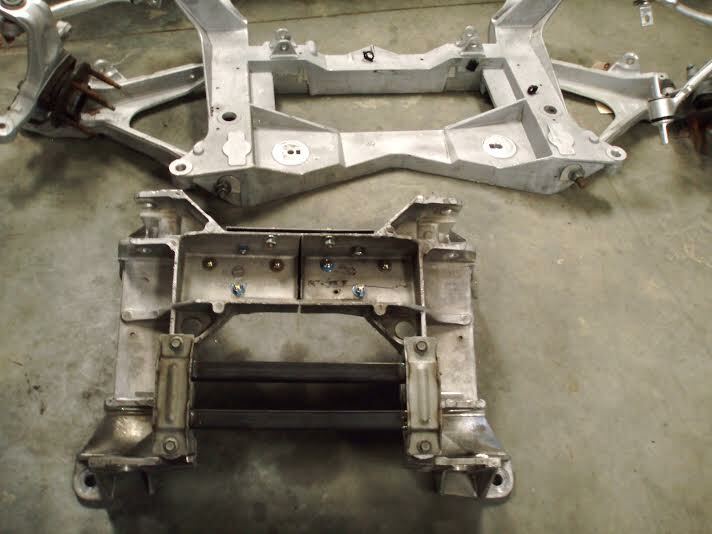 I added mount points to the Corvair front frame rails to bolt the corvette front end in similar to the original Corvair front suspension. I installed a 6 point roll cage for safety and chassis stiffening. The bars are 1 ¾ inch diameter .120 in wall mild steel. The next projects will be more insulation in the engine compartment and possibly installing A/C for summer driving. I also plan on installing a higher spring rate and sway bars to help with handling.